It’s totally normal to lose some hair every day – 50 to 100 strands will come out in the shower, or in your hairbrush – but there are several conditions that lead to abnormal hair loss in children. If you’re concerned about your child losing hair, talk to your pediatrician to determine whether he or she might have a condition that is causing it. There can be several causes of trauma to the hair shaft, including tight ponytails, rubbing against a pillow or chemical burns to the hair shaft from products or styling tools. Observe your child to see if they might be pulling out hair – they may have trichotillomania, a psychological condition in which people obsessively pull on, or pull out, their hair, often when they’re stressed, anxious, or bored. This, too, can cause trauma to the hair shaft and many children doesn’t realize they are doing it. Nobody knows what causes this condition, in which round patches of hair fall out, although some suspect it may be genetic. If you suspect your child has this condition, take heart – in 95% of cases, the hair will grow back. Ringworm of the scalp, also known as tinea capitis, this infection is the most common cause of hair loss in children. The good news is that it can be treated by an antifungal cream or special shampoos. A stressful event can cause 10 to 20% of hairs to go into a resting state called telogen, in which they do not produce any follicles. Parents and children can take comfort in the fact that the hair usually regrows in six months, barring any other complications. 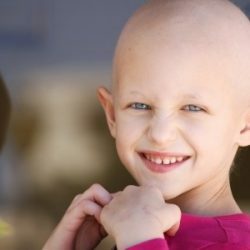 Sadly, many children also lose hair as a result of cancer treatments, just as adults do. Stylistics, Inc. can help. We sell high-quality wigs to help with hair loss and hair replacement. Call us at 602-234-3381 to find out more.